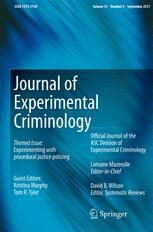 Publication Information: Journal of Experimental Criminology, 13(3), 393-415. doi: 10.1007/s11292-017-9292-4. 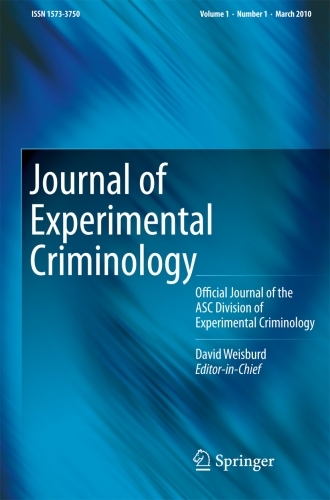 Publication Information: Journal of Experimental Criminology, 15(1), 87-101. doi: 10.1007/s11292-018-9343-5. 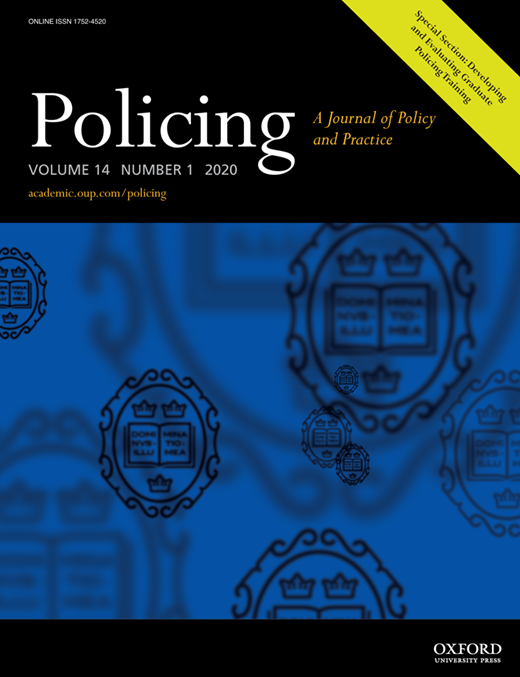 Publication Information: Policing: A Journal of Policy and Practice. Advance online publication. doi: 10.1093/police/pay015. 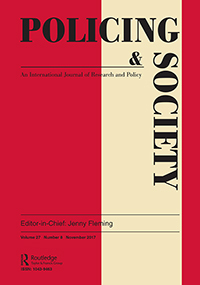 Publication Information: Policing and Society. Advance online publication. doi: 10.1080/10439463.2017.1394299. Publication Information: Policing and Society. Advance online publication. doi: 10.1080/10439463.2017.1405957. 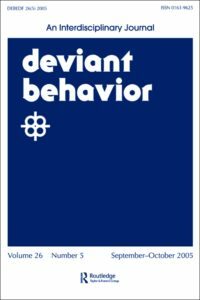 Publication Information: Deviant Behavior, 39(2), 257-273. doi: 10.1080/01639625.2016.1269547.